Choose whole wheat pasta for fewer calories and higher nutrition. 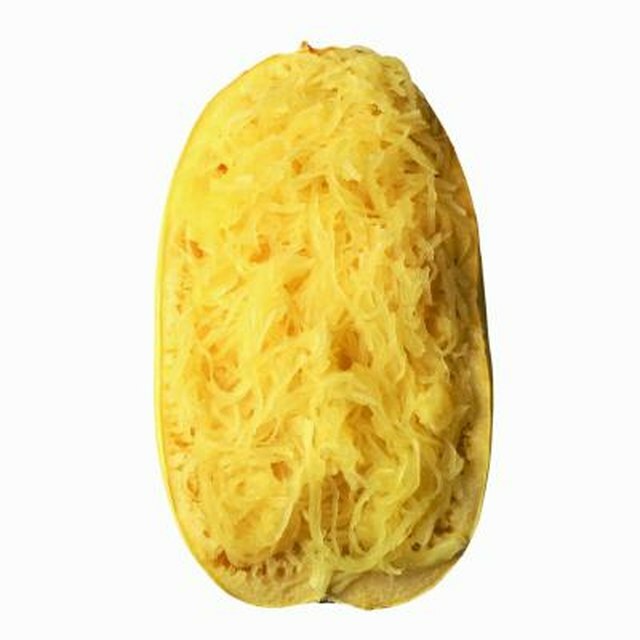 1 How Fast Does Cooked Spaghetti Squash Spoil? Whole grains have more fiber, vitamins and minerals than more refined grains do. In the case of wheat pasta, the calorie count is also less than that of white pasta or egg noodles. 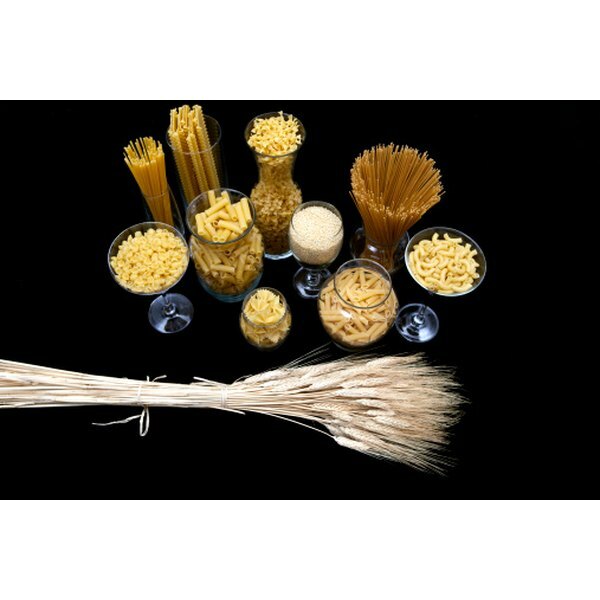 A cup of cooked wheat spaghetti or elbow macaroni is about 175 calories. In comparison, a cup of white elbow macaroni or egg spinach noodles has about 221 calories each. Avoid topping pasta with butter or mozzarella cheese, which each add 85 to 100 calories per tablespoon. A homemade cheese sauce can add up to 475 calories per serving, according to the United States Department of Agriculture’s Nutrient Database. Top whole wheat spaghetti with low-sugar tomato sauce or diced tomatoes tossed in a small amount of heart-healthy olive oil. MayoClinic.com’s whole wheat spaghetti tossed with marinara sauce and grilled vegetables contains about 270 calories per serving and contributes 4g dietary fiber. Whole wheat pasta contains less than a gram of fat and no cholesterol per one-cup serving. Its 37g carbohydrate content reflects a fiber count of almost 4g. The serving also contains 7.5g protein, 21mg calcium and 62mg potassium.